Last month was a huge one for SEO. Not just because of what went down, but because of what has been announced. Everything points to a landscape that will be changing massively over the next few years. Miss this roundup and you might find yourself left in the dust. First, you’ll be enhancing your insight with the biggest case studies of the last month. Data answered some big questions this month, including what changed in Google’s’ core update, how Google is developing its sense of searcher intent and whether ranking #1 is really as valuable as it seems to be. Coming up next are the best SEO guides. You’ll learn how to improve keywords with internal links and which backlink checker has taken the lead in 2019 after the biggest players raced to add new features. Finally, we’ve got the latest news. Is Ahrefs is entering the search engine game? Are big changes are coming anchor text signals? Is Google still quietly indexing sites blocked by robots.txt? Some of us are still getting used to the idea of being in a new year, but if the news covered in this roundup is any indication, time waits for no one. Big changes are coming, and a few of them may have been on top of us before we even realized what was happening. The changes covered in this roundup are going to rock the SEO world. Yes, there are a lot of new opportunities for the underdogs out there, but unfortunately for some, a few gravy trains have just jumped right off the tracks. Fortunately, after the breaking news, I’ve got everything you need to stay on track. That includes the best guides of the last month and a few super-sampled case studies that are going to tell you how to keep up with the future. I’ve been a director at The Search Initiative a while now. We’ve had some crazy results for a whole bunch of clients – all in very different niches. I’m going to share with you how my team and I took a low-authority website and put our foot on the gas to get it moving – fast! I believe there was a key ingredient that accelerated this website, but I’m going to share the whole process from the start. Why? Each website is going to be different, so you need to figure out what your site needs. You need to go through the process. I may have said this before, but this is one news roundup that you aren’t going to want to miss. The last 30 days were filled with important events that are only going to become more consequential as we work our way into the new year. I’m going to start with all of the latest developments—the big changes that you can’t afford to miss if you’re involved in the search industry. After that, I’m going to take through a small collection of the month’s best guides that you can put into action on your sites right now. Finally, I’m going to cover a few of the most interesting analysis pieces and discuss what they mean for the future. I’m all about outside-the-box thinking. The SEO Spotlight Series is designed to showcase clever SEO’s that are using out-of-the-ordinary techniques to get extraordinary gains in the SERPs. In the 4th edition of the series, we’re bringing on three clever folks from The Affiliate Lab. Grab your popcorn, as you’re about to check out some excellent strategies for SEO task automation, outreach, and onsite optimization. 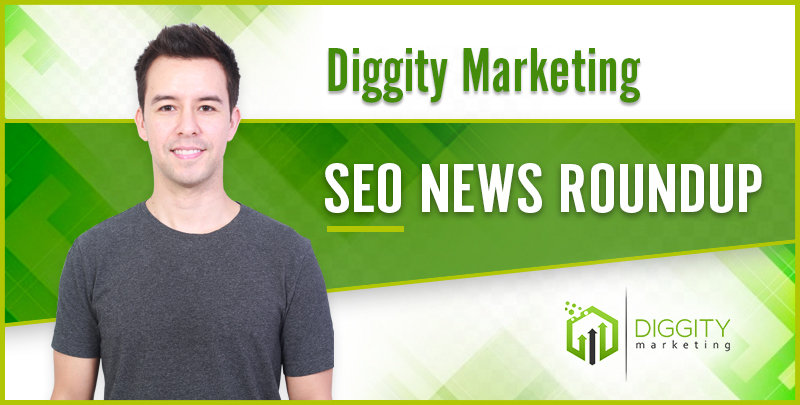 Welcome to the first roundup of the year for all of the biggest SEO news. The last 30 days were fairly quiet for SEO, and I’m sure everyone was pretty happy with that after some of the high-tension drama that we covered in our last roundup. But that doesn’t mean nothing important happened. These last days of the year gave us a lot to take forward into the new one. First, I’m going to take you through some of the more in-depth guides that came out recently, and what they can teach us about 2019’s best practices for recovering from the medical update, retail SEO, Outreach and even PBN management. Then, in SEO news, Google developers and their representatives had a very chatty couple of weeks. Various reps and developers appeared in social media comment, videos and blogs to provide clarity that you’ll want to put into action soon. I’m going to give you a small tour of their advice and the hints they offered on what to come. Last, I have a hodgepodge of other items that shouldn’t be missed, from newly released features to some interesting SEO community debates. 30 pages filled with years of research in Onsite SEO. Co﻿vers everything. From optimization to schema. Always up-to-date with the latest findings.